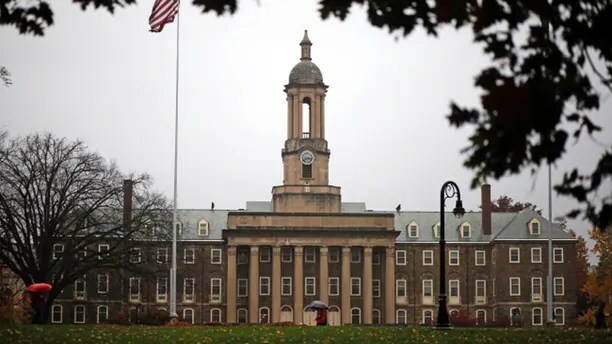 Following the death of a 19-year-old engineering student at a fraternity house in February, Pennsylvania State University plans to publish a “report card” on fraternities and sororities that have been in trouble for hazing pledges, alcohol violations and other infractions. The school is still working on the details, but the Philadelphia Inquirer reported on Monday that officials at Penn State will revive the idea of report cards that it instituted as part of a task force on Greek life back in 2015. The task force was created after school officials suspended the Kappa Delta Rho fraternity for three years amid accusations of hazing, underage drinking and sexual harassment. The plan has not been finalized, but school officials announced Monday that administrators and the board of trustees will hold a meeting in early June to consider a number of actions on top of measures Penn State has already implemented following the death of Tim Piazza at the Beta Theta Pi frat house. These measures include deferring pledging to both fraternities and sororities from the fall to spring semester during the next academic year, banning beer kegs from parties and putting a heavier emphasis on a no-tolerance policy for hazing. Eight of Piazza’s fraternity brothers face charges of aggravated assault, a felony that carries a sentence of 10 to 20 years in prison upon conviction. Penn State has also permanently banned the Beta Theta Pi fraternity. A spokesperson for Penn State told Fox News that while it’s premature to discuss specific recommendations or plans prior to the board meeting, the university is considering a number of options that will depart drastically from measures commonly employed at institutions nationwide. Despite being far from universal, the idea of a “report card” for fraternities and sororities is not unique to Penn State. Leigh University publishes a report of all the infractions incurred by Greek-letter organizations, while schools ranging from Rutgers University in New Jersey to Texas A&M have lists on their websites noting the conduct status and sanctions currently placed on any fraternity and sorority. While Penn State’s plan drew praise from national Greek-letter organizations, there is concern that fraternities and sororities may be unfairly targeted by school officials.